The average person makes more than 35,000 decisions in a typical day. 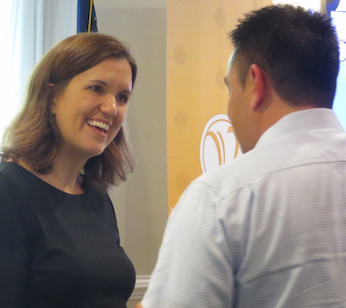 “We are decision-making machines,” says Executive Coach Danessa Knaupp. “We’re making thousands of decisions a day – all the time – so naturally we develop a shorthand.” But, Knaupp cautioned during a recent Knowledge Network luncheon, that shorthand could be holding us back. 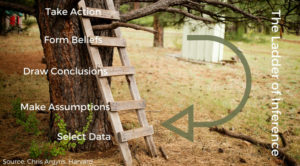 Knaupp teaches that all decisions we make flow up a Ladder of Inference. First, we select or gather data. The trouble is, our previous experiences affect how we perceive that information. For example, one CEO might look at an image and see a random putting green in the middle of a pond; another, one of the most iconic holes on the PGA tour. It’s all about perspective. “We have a set of experiences – all of us – where we sit in a space with a huge pool of data and we select that data using our distinctions,” says Knaupp. “Then we make assumptions about that data. We draw conclusions. Those conclusions form beliefs.” From there, we make decisions. And this is where our shorthand can get us into trouble. Shorthand is very powerful, but it can handicap us. 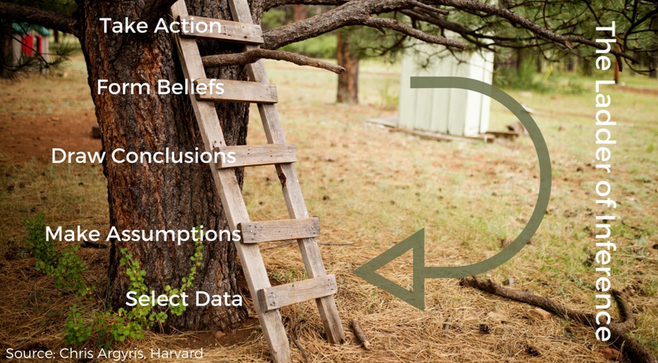 Once we’ve formed a set of beliefs, we’re continually processing data selectively based on those beliefs. Realize that the data before you is a tiny faction of the actual information available to you to make a decision. Realize that what you believe is influencing any action you take. Fact: Something demonstrated to exist or known to have existed; an objective state that can be measured. Assertion: Something declared or stated positively that cannot be objectively proven. Opinion: A belief or conclusion held with confidence but not substantiated. “The VACEOs roundtable experience offers leaders an opportunity to gather a broad set of perspectives on the challenges they face. Those confidential conversations allow each to broaden his or her view, noticing opportunities in a different way. By expanding perspective, leaders expand their potential solution sets in a way that is nearly impossible to do alone.”- Danessa Knaupp, Founder and CEO, Avenue 8 Advisors. Come down from your ladder. Seek ways to broaden your perspective. 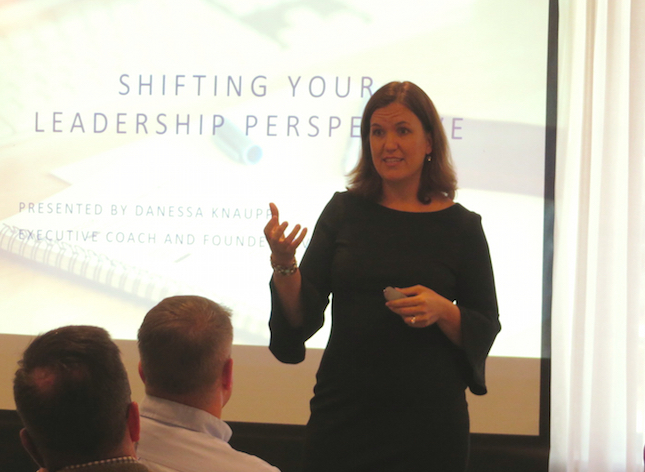 *Source: “Shifting Your Leadership Perspective” VACEOs Knowledge Network presentation by Danessa Knaupp, Founder and CEO, Executive Coach, Avenue 8 Advisors.